August | 2008 | Reserve Result. Sam Rockwell and author Chuck Palahniuk attend writer and director Clark Gregg’s Choke screening and after-party by Radar magazine at Kingswood in New York City. Choke hits theaters on Friday, September 26, and click here for Choke trailer. As promised, director Jason Stürmer will post his political columns and video blogs pertaining to the two major parties National Conventions soon. So stay tuned for that insightful commentary. To see detail photos on all fours days of DNC coverages, visit Newsday.com. Olympian swimmer Michael PHelps will host the season premiere of Saturday Night Live with musical guest Lil Wayne, and he’ll present at the MTV Video Music Awards on Sunday, September 7. Last night, Tiger Woods and Micheal Phelps attend EA sports event in New York City. I watched The Black List documentary last night after the Democratic National Convention coverage, and I thoroughly enjoyed it because the doc redefined what it means to be on the black list and illuminated contemporary, non-victim African-Americans and their experiences. The film was shot by cinematographer Graham Willoughby, and for once the array of dark skins are pristinely photographed as they popped onscreen like images from humanize coffee table books. Catch The Black List on cable and dive right in. Don’t miss The Black List on HBO and On-Demand. Mr. Mitchell and Greenfield-Sanders, where’s volume 2. Audrina Patridge and Lauren Conrad celebrate The Hills Brody Jenner’s 25th birthday at the LG Villa Cabo in Cabo San Lucas, Mexico. The Hills airs on Monday nights on MTV. Shane Alexander and his band – Chad Crawford (bass), Charlie Paxson (drums), Jebin Bruni (keyboards) & Billy Mohler (guitar) – are playing their last Los Angeles summer show with Chris Pierce tomorrow – Wednesday, August 27 @ 10pm – at the Hotel Cafe. Pierce is wrapping up his residency at the Hotel, where he’s been taping his sets for a ‘Live at the Hotel Cafe’ album. So come out and see Shane’s show. 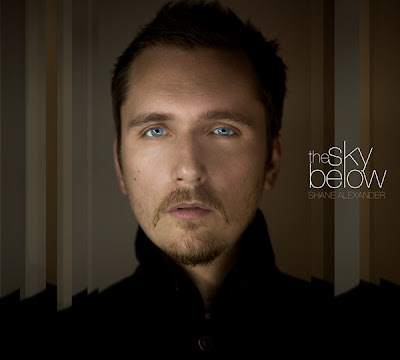 To befriend and stalk Shane Alexander and his band, visit their website and myspace, and to download their The Sky Below disc, hit up CD baby and iTunes. The Hotel Cafe is located in the middle of Hollywood on Cahuenga Blvd, between Hollywood Blvd and Sunset Blvd. Cahuenga blvd is 3 blocks West of Vine Street. Exit Cahunega Blvd from the 101 Freeway. Head South for a few blocks (past Hollywood Blvd) until you get to 1623. Parking is in the Alley just before. Congratulation to the cast and crew of the Kiss for taking home 3 awards including Best Horror Film of 2008 at the West Hollywood International Film Festival. Director Scott Madden’s the Kiss is about a vampire that is revived from almost eternal death by an out cast high school skater-boy changing his life FOREVER because now he can’t DIE. A warm kudos to RR friend and award winning actor Vincent Rivera for his performance in the Kiss, and you can click below to view the trailer. Enjoy! the Kiss is produced by Ron Feuer and executive produced by Robbie Gillman.